Lil Wayne has spoken out about his actions at the recent LIV All-Star Weekend party, where he claimed to have had sexual relations with Adrienne Williams, the wife of Miami Heat Power forward Chris Bosh. The rapper spoke with Miami's 99 Jamz radio station via telephone Wednesday night and said he had no qualms about his harsh words at a party he hosted at Stereo Live in Houston Sunday. “I don't apologize for that night. That's who I am, and yes, I did say those things,” he told 99 Jamz’s Felicia Monet. It was on stage at the party that Lil Wayne commented on a situation where he was ejected from a Miami Heat-Los Angeles Lakers game earlier this month and subsequently banned from NBA games. According to the Daily Mail, Lil Wayne claims he was kicked out of the game at the American Airlines Arena for rooting for the Los Angeles Lakers. USA Today uncovered tweets from a fan named Danny Vega who says he sat near Lil Wayne at the game and detailed that the rapper was removed from the venue after a brief altercation with another patron. 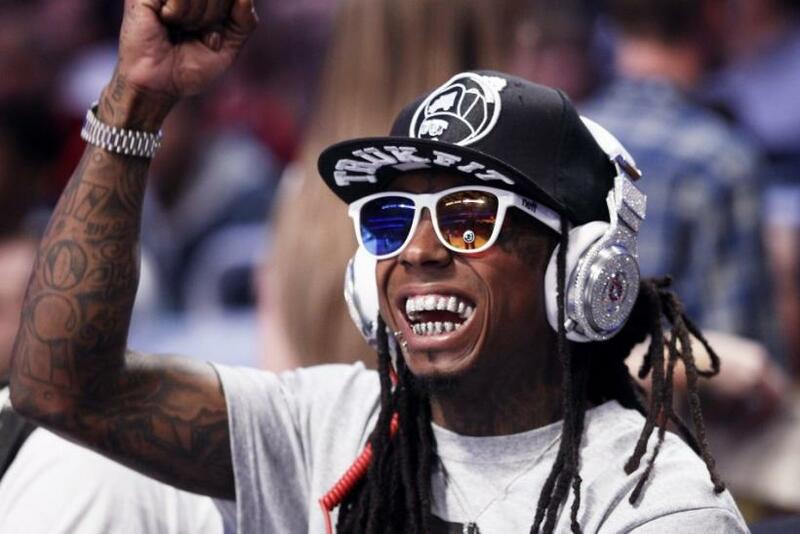 “Random guy yelled at Lil Wayne at #MiamiHEAT game. Weezy looked back, gave him a mean stare & gestured he had a gun,” Vega tweeted. Miami Heat spokeswoman Lorrie-Ann Diaz told USA Today Sports via email that the rapper was not kicked out but rather left of his own accord. During his phone interview with 99 Jamz, Lil Wayne would not confirm or deny whether what he said about Bosh’s wife was true, noting only that he would not apologize for his statement, according to the Source. He did, however, take the time to retract what he said about Lebron James, stating that he was too heated in the moment to censor his words, and also extended his apology to the city of Miami. A hip hop gossip website, Global Grind, recently reported that Williams and Lil Wayne, whose real name is Dwayne Carter Jr., apparently have history. In an exclusive report, the website detailed that the former model, also known as “Short Stack” for her 5-foot frame, was involved with the rapper before her 2011 marriage to Bosh. A source told the Grind that Williams told the rapper that she was sick with cancer, for which he apparently gave her $10,000. Instead of getting treatment, she supposedly took off with the money, leaving Lil Wayne to believe that he was hustled. Global Grind suggests that Lil Wayne references the incident in his 2007 freestyle rap, “Fronting Like Ya Daddy." The lyrics read, "What about the time in New York when the shorty told you she had cancer. Had you in the room all teary eyed and then you give her a check for 10 thousand. Then they called you the next day and tell you she ain't got cancer."